Don’t hide your light under a bushel or a baggy sweatshirt! Some people seem born with it, some people seem as though they desperately need it. 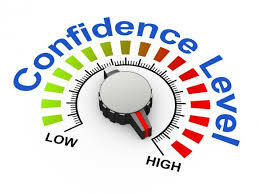 Confidence can appear to be a quality that you either ‘have’ or ‘don’t have’, but, in fact, confidence is just a feeling of being comfortable with who you are. Although it might seem impossibility, you can grow to feel comfortable and confident. You may need to replace old ways of thinking with new ones and you may need to challenge your own construction of what you perceive as ‘real’. If we have an inner voice constantly telling us that we are rubbish and that we are going to fail, then that is probably what we are going to do. Your mind is a precious and valuable resource. By changing how you think, you will be changing how you feel. Consequently, you will change how you act and behave. Many people are concerned and worried about how other people will view and judge them and this can prevent them from feeling relaxed and good about themselves. Hypnotherapy is an excellent treatment for building your self-worth and replacing negative and unhelpful thought patterns. Life events can knock our confidence and self-esteem. Being rejected by a partner or not being chosen after a good job interview can have a very negative effect. It is the ability to pick ourselves back up, accept the reality but still recognise and appreciate who we are that is important. Hypnotherapy will help you to re-frame difficult life events. Using hypnotic suggestion and metaphor, you will start to let go of your negative self-image and self-constraining thinking. This will enable you to connect with your own individual inner resources. As you progress, you will discover a new feeling of ‘ease’ in your life as you come to recognise your own self-worth and what you need to feel confident about who you are.